Music itself is a gift that brings a lot of thing to a person. It creates a wonderful and magical feeling to a person. It calms us, it also inspire and motivate a person. It lifts your feeling if you are down or double your happiness. Some individuals have exceptional passion and love for music. They see and feel the music deeper than others. Trying to find a wonderful gift for a gift lover that you know is not that hard. Music is everywhere and anywhere. There are so many things that will make a music lover happy. Here are some gift ideas that your music lover friend will truly love. A cute and unique gift for a music lover. This gift idea is actually made from vinyl LP records with its original labels preserved. 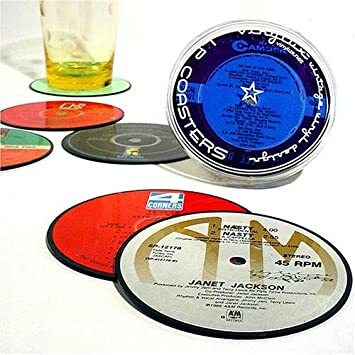 These nice coasters are protected with a clear Mylar seal keeping its graphics safe and dry. Each gift set comes with 6 coasters in wide range of genres, artist and music preference. This is a creative way of rescuing and recycling vintage LPs by turning them into a useful gift idea. Almost all music lovers can play a guitar. This instrument is the most common played music instrument, because it is portable, easy to learn and it fits any type of genre. This shirt is perfect attire for a music lover. It has an electric guitar built in style. One cool thing about this gift idea is its mini guitar amplifier speaker that you can clip on your belt. You can rock and roll with your favorite tunes on this cool shirt that has real playable electric guitar! It’s not magic; it’s just pure rock and roll! 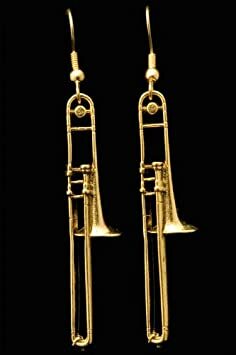 If you are looking for a gift for a trombone player or a glee club member, this gift idea is what you are looking for. This gift idea is an exact replica of a trombone. It has an exquisite design and made of great quality. It is pewter casted and plated in 24 Karat Gold. This gift idea is like literally putting music on their ear. It is a beautiful gift idea for a music lover. This is a unique and out of the box idea. Music lovers always like to listen to their favorite song. Now with this gift idea will make them enjoy music more even when they are in their shower room. This wonderful present can stream music wirelessly from any Bluetooth music player. It doesn’t just play music wirelessly but it also answers phone calls wirelessly from a Bluetooth smartphone. This great device is compatible to almost all Apple mobiles, iPad, iPod Touch and Android powered mobile phones. In this way you can enjoy listening to music while having a shower without worrying that your mobile phone or other music devices will get wet. This is a great innovation and best gift for music lovers. Test how deep your music lover friend is in love with music. This game tests how much a music lover knows their favorite song. This is a game that can be played in group of teams or individually. It is a perfect activity for families of music lovers or just for the sake of having fun. How many songs do you know? Can you thinks of a song that has the word “Music” in it? Or maybe you can recall a song with the word “Song” with it? 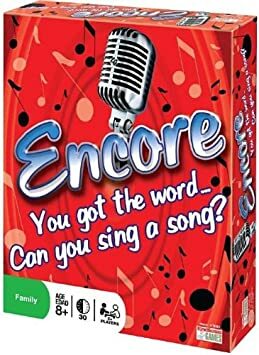 Encore is a game that creates happy moments with friends and family. This game of recalling songs that has the word it asks you. This is a wonderful and fun gift idea. Are you tired of carrying big guitars everywhere but you do not have the choice because you need to practice a new music piece? Well your misery is over. Everything nowadays has been turned into things that are portable. This is a fantastic idea for guitar players who needed to practice their piece or from those who are staring to learn how to play guitar. You are at peace not bothering anyone while you practice. It has real guitar strings and frets for a feel of real guitar while practicing. It also has a cover to protect the strings and for easy storage. Listening to your favorite music is fun but is much better if you can share it. Well not everybody wants to listen to music but these headphones can make it possible to share music to your friend seating next to you without bothering others. These headphones allow two people to enjoy music at the same time. Share music with a flip, as in literally flipping the other side of the headphone. This is so comfortable to use because it uses memory foam instead of the normal ones. It can also be folded up for easy storage. This gift idea is such a wonderful gift idea for a music lover. 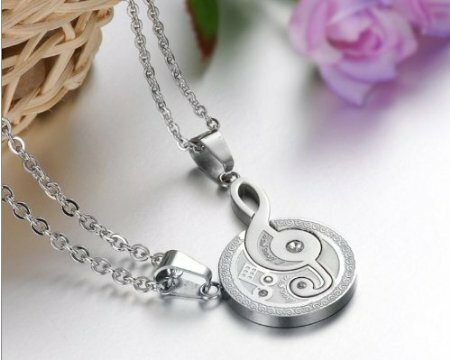 A puzzle necklace made of high quality stainless steel makes a wonderful gift for a music lover. This is also a nice gift idea for couple who is into music. This is a set of necklaces that forms another pendant when combined. It comes with a 19.7” chain for each pendant. The make’s pendant sixe is about 28-23.5 mm big and the female’s pendant is about 12mm This gift idea comes with a lovely gift box; ready for gift giving. Bring in the classic sound and look into your room with this Hi-Fi speaker. This is for music lovers who really value the quality of the sound of music. This looks like classic amplifier that brings a crisp rock and roll sound in your living room or bedroom. It gives out quality sound from its 6” long throw Hi-Fi woofers and made it even better with its Ferro fluid-cooled Hi-Fi dome. It has bass and treble tone controls so that you can blend the sound the way you like it. This is really a choice to give as a gift. Music is a medium to let your feelings flow freely. With music you can express what you feel and think of. Giving these gift ideas will also be an opportunity for you to express your thoughtfulness and true feeling for the recipient.